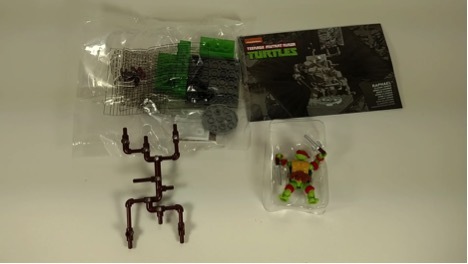 Up until this year, LEGO has had the rights to TMNT; but that is no longer the case. Mega Bloks has the rights now, and they have come out with a ton of new figures and sets. This one is the Classic mini set with Raphael. The figure comes in a standard Mega Bloks type box. 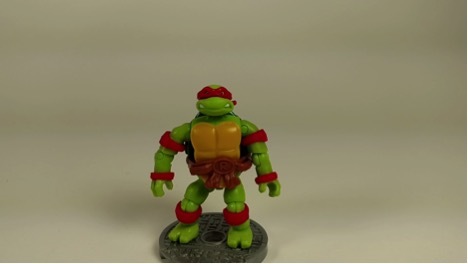 You have the logo for the TMNT at the top with a picture of the figure on the left with the figure himself displayed on the right. On the back of the box you have a picture of the figure and set all put together. 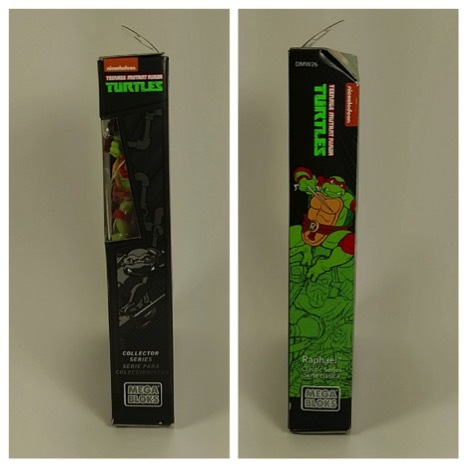 On the side of the box you have two different pictures of Raphael. 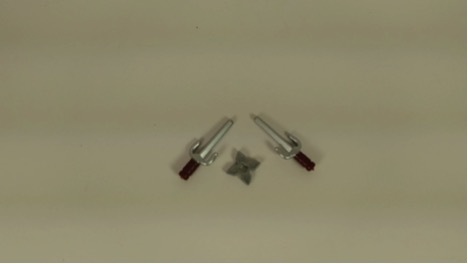 Inside the box, you get all the pieces you need to make the stand, you also get Raphael, along with the instructions. The whole thing takes about two minutes to put together. Raphael comes with two Sais and a ninja throwing star. 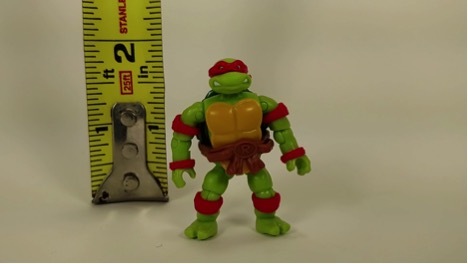 Raphael stands just under 2 inches. Here is Raphael standing next to some of his counterparts through the years. The figure itself is fun to play with. He has tons of articulation for a figure of his size, something you can never get with a LEGO figure. This Mega Blok figure is sometimes a little hard to stand on his own, so I am happy they give you the manhole cover to stand him on. They even give you a place on his belt to store his weapons when not in use. Another cool thing is each stand can connect to each other, so when you get more figures you can connect all the stands for one long display stand.